Home › Uncategorized › OBD2 Tuning now available for Mercedes-Benz BiTurbo vehicles! 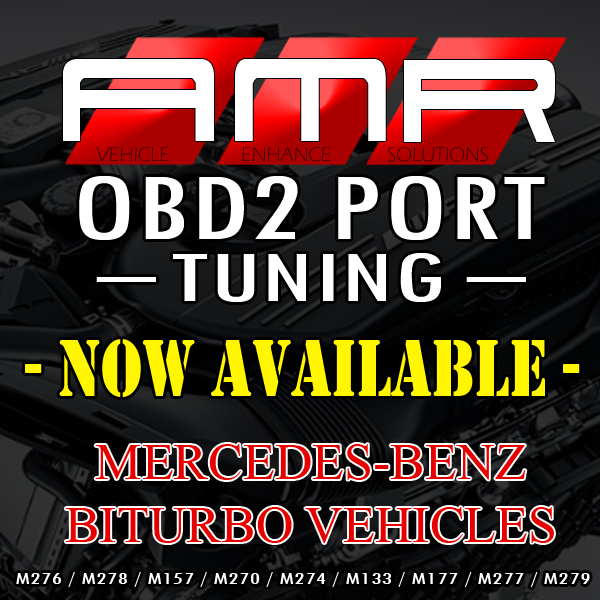 As of today, 11/9/2018, AMR Performance would like to announce that all Mercedes-Benz BiTurbo vehicles can now be programmed through the OBD2 port! This means the ECU from your Mercedes-Benz BiTurbo vehicle no longer needs to be removed and disassembled to be programmed! We can now do this through the OBD2 port. This option helps with downtime. No need to remove your ECU or disassemble your ECU. Certain vehicles, such as the C63/C6S AMG (w205) needs the ECU to be relocated as it is in a position that is very hard to access and program. Now, with this new innovative feature, we can now program the vehicle through the OBD2 port, which will save money and time relocating your vehicle’s ECU. 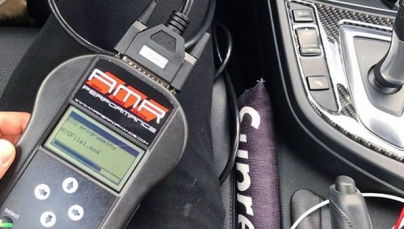 Any AMR Performance dealer and/or AMR Performance franchisee location can program our enhanced tunes into your vehicle with no downtime or need to ship-in your ECU. We also have the option of sending you our “loaner” tool in which you would have to leave us a refundable deposit in which, when your finish programming the vehicle, will be credited to you when we receive the “loaner” tool back. Can the dealer see this being done? Anything done to ANY vehicle through the OBD2 port can be seen by the dealer as the ECU monitors what is called a “program counter”. Each time the vehicle is programmed, this counter is increased by 1. No matter if it is programmed to stock or aftermarket/tuned. The counter continues to climb. Counters differ from vehicle-to-vehicle. Our “ship-in” ECU / ECU removal method will give you the ability to remain somewhat”un-scene” when it comes to service as well as keeping the ECU monitors and counters exactly the way the dealer had left it. Financing Available. BUY now and PAY later!